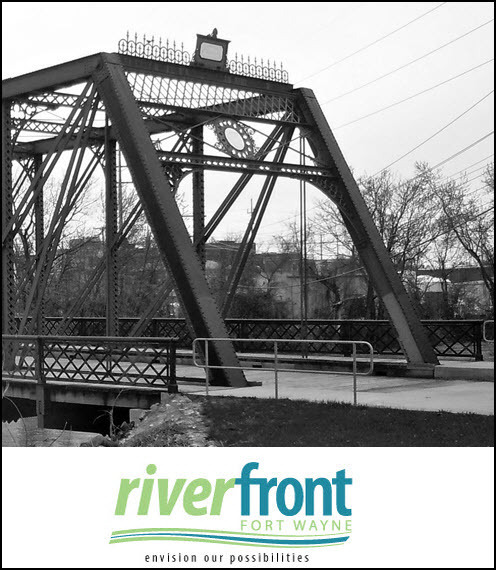 Tonight, Riverfront Fort Wayne is showcasing the Historic Wells Street Bridge. In 1884, when New York was putting a cornerstone for the Statue of Liberty and D.C. was finishing the Washington Monument, Fort Wayne was erecting the Wells Street Bridge. Today the bridge stands as one of the only surviving examples of a 19th Century truss bridge originally designed to carry heavy traffic. So this evening take a step back in time and head down to The Wells Street Bridge. Grab something to eat from renowned Fort Wayne food trucks Affiné and Pizza Bomba and then listen to the music of The Fierce Invalids as they perform traditional acoustic blues and some old time country. The event is free and everyone is invited! On November 3rd Indiana voters will elect representatives for mayor, city council, and clerk. These offices don’t headline the national news, but in many ways, they can affect our community as much, if not more, than any other offices. They are positions held by our neighbors, our co-workers, and our peers, and they’ll help guide Fort Wayne through this inspirational rise in civic engagement and pride. Just 10 to 15 years ago Fort Wayne was seeing its young professionals moving to Indianapolis, Chicago and other locales after graduating from college. Recently, however, there has been a shift and more graduates are considering job opportunities right here in Fort Wayne. This year’s election will place leaders who determine what this city has to offer to help retain and attract talent. Additionally, it will shape the type of community our children and grandchildren will grow up in. Issues like safety, education, entertainment, economic development, and jobs are on the forefront. We have a hotly contested mayoral race and could have as many as seven new city council members. Fort Wayne will have a new city clerk for the first time in over 30 years. Young Leaders of Northeast Indiana urges voters of all ages to pay attention to what the candidates are saying, doing, and advocating. As a nonpartisan organization that encourages young professionals to get involved, to make their mark, and to make their voices heard, we find it troubling that Indiana had the lowest voter turnout in the country last November. And, the 9.8 percent turnout in the May primary elections in Allen County was the lowest in history. Whether that was due to misinformation, lack of information, or just plain apathy, we’re not going to stand by and just hope more people turn out to vote in November. YLNI is committed to doing something about it by hosting multiple events, in partnership with several other organizations, to help engage and educate voters. – On Oct. 1, YLNI will host a “Meet the Candidates” night. Candidates have been invited to give a short speech to let attendees know who they are and what they stand for. The event is 5 p.m. to 7 p.m. at the Embassy Theatre and is open to members of the participating organizations. – On Oct. 8, YLNI will host “Rally the Vote” – a free, family-friendly block party open to the public from 5 p.m. to 7:30 p.m. on the Landing, Columbia Street in downtown Fort Wayne. Voters can vote at the County building until 4:30 p.m. and then join us for music, food, beverages and outdoor games. Just as important as increasing turnout is to have informed voters. Each election year YLNI produces a candidate information brochure. It contains general background information on the candidates, including their answers to questions regarding community issues. The brochure also includes a description of each office on the ballot and general voting information. More information on YLNI, the candidate brochure, and these events can be found at ylni.org. Information on how to register and where to cast your vote can be found at indianavoters.in.gov. No matter what side of the aisle you tend to stand, or if you prefer to vote for a candidate instead of a party, please get educated on the candidates and issues, then exercise your right to vote. Jake Pickett is vice president of communications for Young Leaders of Northeast Indiana. He wrote this for Fort Wayne Newspapers. We need your input about downtown’s future! YLNI is teaming up with the City of Fort Wayne and Greater Fort Wayne Inc. for theDowntown Fort Wayne BluePrint Block Party. In 2003, the City, the County, and the Downtown Improvement District, along with input from citizens, created the Downtown Fort Wayne Blueprint for the Future to guide a large scale initiative to breathe new life into the downtown. In 2005, the plan was updated and refined. It’s now time to refresh the vision for the heart of our city. Join us and share you ideas, enjoy free food and music, and enter a drawing for great prizes like free tickets to Jackson Brown at the Embassy, a free overnight stay at the Hilton, or a $50 gift card to any downtown restaurant. Where: The Landing, Columbia Street. IPFW Omnibus Lecture Series - "The World at Night"
This season will mark the 21st year of the IPFW Omnibus Lecture Series and a continued dedication to presenting diverse ideas through educated, respected, and entertaining speakers to the university community and residents of northeast Indiana. October’s speaker will be Eric Olson. 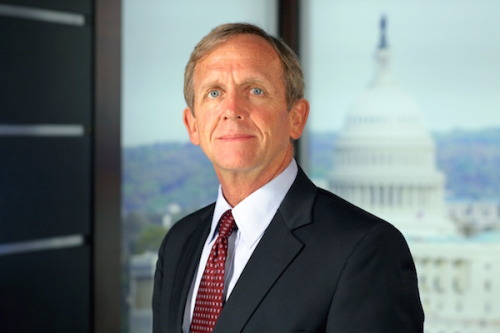 Eric Olson is a retired four-star Admiral, Navy SEAL, and former commander of the U.S. Special Operations Command (USSOCOM). He served his country for more than 38 years. He is often described as one of the greatest military leaders of the last century, and his leadership is credited for accomplishing some of the most notable military operations of the past decade. In 2008, 6 million Americans didn’t vote because they missed a registration deadline or didn’t know how to register. National Voter Registration Day wishes to change that by bringing awareness to voter registration. There are less than two weeks left to register by the October 5, 2015 deadline for the 2015 Election, so take time today and check that all your voter registration information is current. Don’t know how? Well it’s easy! Indiana’s Statewide Voter Registration System allows you to check your status as well as update your information or submit a new application online. And don’t forget that you can vote early in Allen County starting October 6th either in person or by mail. Check out the Allen County Election Board website for dates and locations. 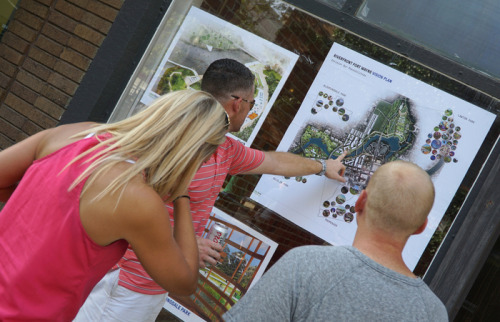 The City of Fort Wayne and Artlink Contemporary Gallery are inviting local artists to submit design ideas for ten wooden benches that will be installed along the downtown riverfront. Designs will be accepted now through November 1, 2015 with winning artwork selected through a jury process. The entry fee is $15 and each winning design will earn the artist a $500 honorarium. Artists may submit one design proposal per entry. The benches were previously used at Citilink bus stops and will serve as the canvas for artwork that pays tribute to the outdoors and to the community’s recent revitalization efforts. Experienced artists living in any of the 11 counties of northeast Indiana (Adams, Allen, DeKalb, Huntington, Kosciusko, LaGrange, Noble, Steuben, Wabash, Wells and Whitley) are invited to submit designs by the deadline. Designs will be chosen by December 1, 2015 and will be revealed at the Kickstart Festival on May 14, 2016. The benches are expected to be installed by summer 2016.